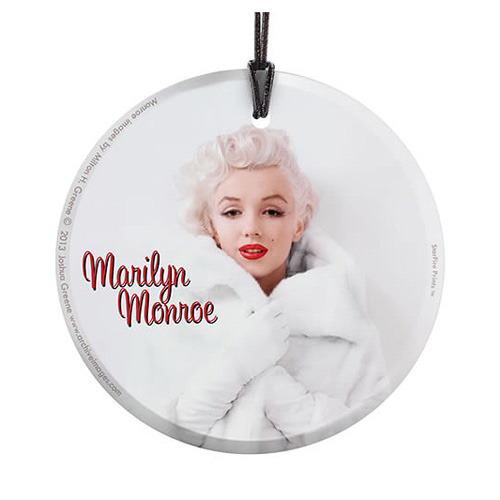 This Marilyn Monroe White Fur StarFire Prints Hanging Glass Print is translucent yet vibrant with color. Designed to capture the natural light making every image a true piece of art. The glass is scratch and fade resistant and arrives to you ready for display. Ages 14 and up.